I don't really see a huge problem with being only 6. Single division, 5 games each, and a final for the two top dogs perhaps? We should perhaps have a reasonably low TV limit for old teams to allow for new ones, but I'm not sure exactly what that limit should be... 1400? 1500? I think I want in too! I'll bring a new team (my old one from season -insert low number- has retired). Participant list updated, right now we're at 9 teams. So 1 more coach would be nice. Hakos, how about Gurgeh, any news on him? Looks like majority of the coaches will be playing with new teams, so we should probably set a quite low TV limit for old teams because I think one big group would be the most enjoyable format. I agree that one large group would be the best so I will not play Getingarna. Which means it is either the necros or a new team for me. Right now I'm leaning towards the necros but it will depend on what limit you set. I do not want to cut my team down too low, then I would prefer to start a new one. Talked to Gurgeh early in the week and thought that I had convinced him but now he is travelling abroad during the weekend without signing in here so I think he has decided not to join. Crap, I'll check my resources but I hardly think they have time for it. I also listed the money and number of players on roster because those affect the TV that the TV difference calculation is based on. For example, my Marine Mammals will have to freeboot to get to 11 players, so my "true" TV will be 1050+70=1120. As to the money, I have enough money for a witch elf, so my maximum TV I could achieve at the moment would be 1050+110=1160. So, what would be the suitable TV limit for old teams, any opinions? I was thinking 1300 might be fair but that might be too hard for some of the old teams to get under. So would 1400 be too much? I'm fine with a high TV as long as I can buy neat inducements - which ones are allowed? I was considering 1200 to 1300 as a fair limit. 1400 sounds a tad bit too much for my taste but I could of course live with it. Probably more interesting to hear what the coaches playing new teams prefer. 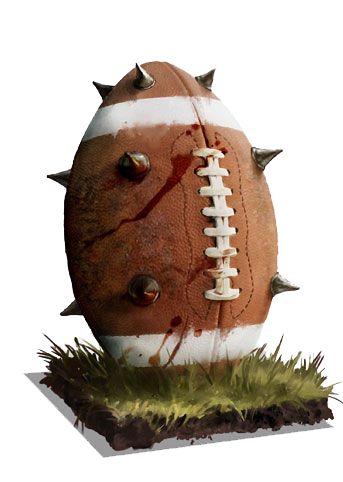 By the way, let's say we set the limit to 1300, I kick two useless zombies, get down to 1280 and sign on to the league. Then just before the first match I buy a ghoul for 70k and ends up with 1350 for the first match. Would that be ok? Even if I wait to the second match I still have a bonus of the 90k gold. So should I make sure to go down to 1230 instead? I.e. what does a limit mean, is it a league sign on limit or a limit for the first match and/or a limit including possibilities? Hi, my version is that it really doesn't matter what TV we have. As we have inducements, though a new team will have problems facing teams with tv 600+ higher. And of course other teams will suffer more than others. Next problem is that I have no problem with this, new players could find a mission impossible facing teams that has twice or more skills. As I do not bother but find it more fun stealing points from the bigger teams I'll not comment this more than put yourself in your opp shoes. And next problem is that we would like to be able to run teams and continue with them, so feel free. I'll understand you all, if I would have a little more fun with the khemri I'd go with those but no. I think I'll play Goblins between, feel free to pick what YOU think would bring fun, new or old teams, the important thing is to enjoy the roller coaster. Well, I'm biased, as I would love to play The Partly Animals, but I cannot get them under 1300 without letting my wardancers go. So for purely selfish reasons, I would say 1400 is a good limit. I would still have to cut my thrower, or my treeman, but that's something I can live with. Based on the other experienced teams, 1400 seems a better fit as well. I can understand that it might seem a bit high for fresh teams, so if the majority wants a lower TV limit, I'll just roll a new team. Been wanting to try orcs for a while anyway. That's a good point... I would think limit including possibilities is a bit too restrictive. It's not going to be completely "fair" either way of course. But the most problematic thing about facing high-TV teams as a fresh team is deadly skill combinations, not necessarily just all the positionals. After all, spending money can only get you rookies. The problem is that we're going to have this conondrum everytime we get new players, so do we really want to set precedent that we reroll whenever we recruit? I just want to stick to a team for at least a couple of seasons to get a feel for it, but as Hakos said: I think it's really up to wether or not the new guys view it as a problem. If they want to have a go with inducements, that opens up a couple of interesting rosters too, eg. all types of Elves with a lot of positionals but few RRs as you can induce that, etc.